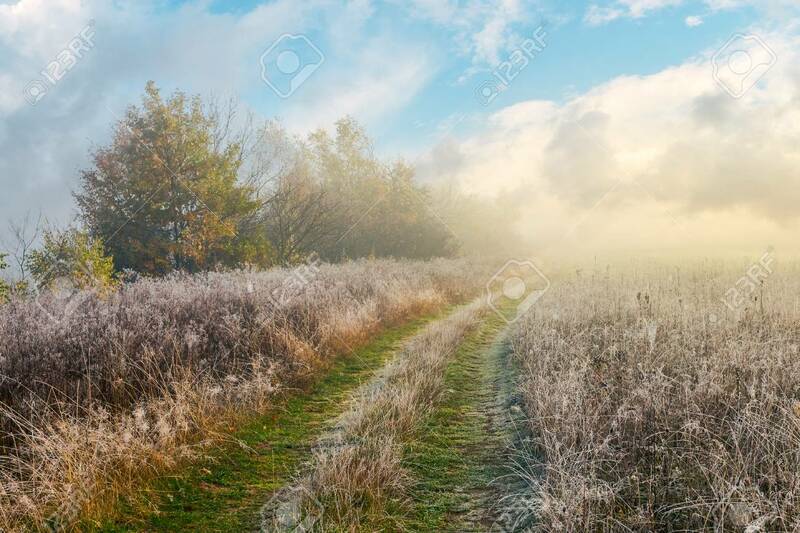 Country Road Uphill Through Meadow With Frozen Grass. Distant.. Stock Photo, Picture And Royalty Free Image. Image 110747654.